As every young athlete knows, making the transition from sleeping in all summer break to breaking a sweat with early morning scrimmages and suicide runs is not easy. Tack on the dangers of heat and sports-related injuries, and there’s a lot to unpack to make sure your child’s training experience is a healthy one. Sports Medicine experts from The Orthopedic Center for Children at St. Christopher’s Hospital for Children discuss four important tips young athletes should remember this summer. It’s not uncommon for young athletes to come to preseason practice in poor shape (hello, summer ice cream cones! ), and one of the most common issues they will face is being unprepared for exercising in extreme weather conditions. St. Christopher’s experts suggest children should start with light outdoor workouts at least 14 days prior to training. It’s important to gradually increase the intensity of the workouts through these first few weeks, while also adding on any athletic equipment they’ll be required to wear during the preseason. That way, your children can get used to the feel and warmth of helmets and pads before heating up under all of them at the same time. Preseason practices are typically scheduled with the sun in mind, restricting training to the early morning and evening hours so that athletes aren’t exposed to the day’s most intense rays. Most heat-related illness occurs within the first week of practice, so be extra careful in catching any of the telltale signs of overheating below during that time. And you should: Take a break to stretch, hydrate and cool off. Depending on frequency, you may want to consult a physician. And you should: Stop playing or practicing and get out of the heat immediately. Hydrate, and quickly seek care. And you should: Call 911. Heat stroke is a life-threatening emergency. While you wait for care, be sure to stay out of the sun and make every effort to cool and hydrate. Staying hydrated is always important. On practice days, it’s recommended that athletes drink at least 10 to 16 ounces of water two hours prior to hitting the field. Add another 6 to 10 ounces 20 minutes before, and 4 to 8 for every 20 minutes’ worth of working out. It’s suggested for young athletes to consume another 10 to 16 ounces of fluids after training ends. Caffeine and overly sugary drinks should be avoided at all times. Broken bones, fractures and sprains are most common in elementary-aged athletes. Moving up in scale, middle schoolers often see growth plate fractures and chronic irritation (think Osgood-Schlatter’s disease in the knee and Sever’s in the heel). In high school athletes, sprains, strains and concussions are most frequent but can be avoided by maintaining appropriate drills and practices based on skill-levels and size. The key is properly stretching to avoid straining muscles or joints, and of course, practicing safety during all drills. 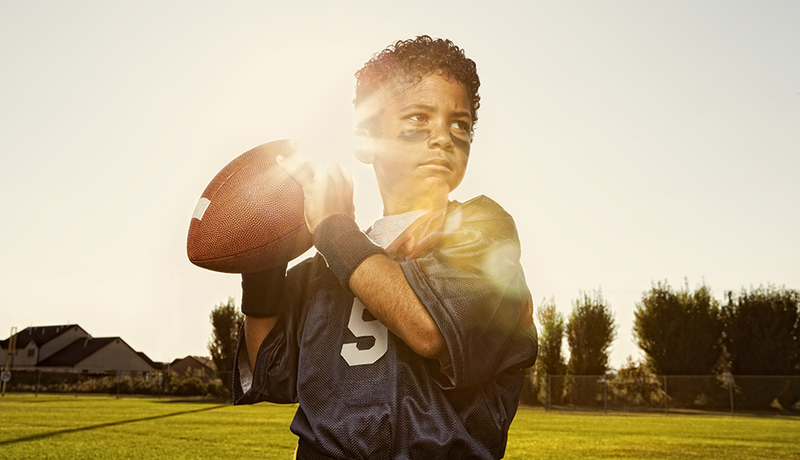 The tips above should help children be prepared to excel on the field, but if something still feels out of sorts on (or off) the field, it’s important for children to tell a coach or adult. Conversely, a young athlete should be monitored for exhaustion and injury at all times. If limping, visible struggling or fatigue is apparent, it’s important to rest. If an injury occurs, ice it and let the trainer know. If the heat is too much to bear, sit in the shade and cool off as much as possible. If exhaustion or pain is the main concern, take a step off the field and lie flat until the problematic feeling passes. If symptoms become serious, it’s important to seek medical attention. For more information about Sports Medicine at The Orthopedic Center for Children, visit St. Christopher’s Hospital for Children.